Offered to our valued customers, are these elegant Stone Lamps or garden posts. Made from luxuriously fine sandstone , they are synonymous to durability with exemplary fine finish. Ours is one of the reputed names in this industry, engaged in manufacturing and supplying an excellent quality collection of Soapstone Lamp. 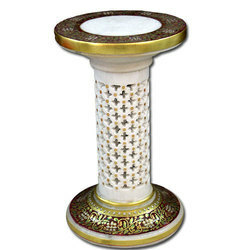 These Fragrance Burners spreads fragrance in the atmosphere in a pleasant manner. Exclusive lamp made up of undercut stone.Very unique gift. 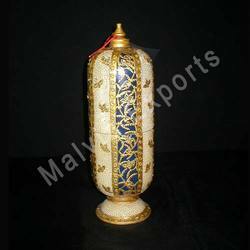 We are carving a niche amongst the industry, offering a quality approved array of Stone Lamp. The Stone Lamp we offer is widely demanded for its unique appearance. Easy top install these products are able to enhance the appearance of their respective applications. With the valuable assistance of skilled team of professionals, we are engaged in offering an extensive range of high-quality Stone Lamp Post.